With the coffee shop market growing by 37% between 2011 and 2016 to reach £3.4 billion, Britain’s taste for an artisanal cup of joe is far from declining. Yet in its campaign for the relaunched McCafé, McDonald’s is mocking drip culture, focusing on faff-free coffee without compromising on quality. We discover the insights behind the ad to understand why the fast food chain is proudly denouncing gimmicky coffee culture. Britons are drinking more coffee than ever; the coffee shop market grew by 10.4% between 2015 and 2016, and 65% of people said they visited a coffee shop in a three-month period towards the end of the last year. Independent cafés are central to this growth, with over 25% reporting annual turnover of £200,000 in 2015, and 92% of owners saying they expected that trend to continue throughout 2016. Yet McDonald’s campaign around the new McCafé is all about being unpretentious, pushing the idea that a good cup of coffee doesn’t have to come in test tubes or from a haughty barista. 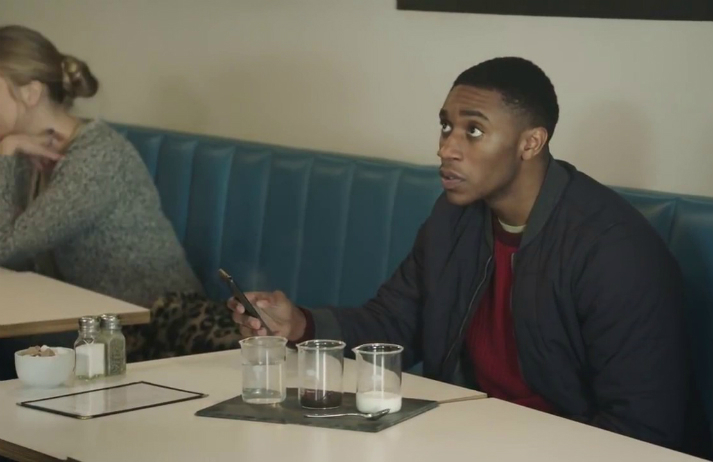 The tongue-in-cheek ad shows the various frustrations people may have with fancy coffee shops, including overpopulated menus, bizarre seating arrangements, and lofty prices. It ends with a frustrated customer going to McDonald’s and getting what they want – a cup of quality coffee without the razzmatazz. “Coffee still thinks that mass appeal is a sign of selling out and inauthenticity, but everybody wears Levi’s,” says Tony Konecny, head of coffee at Locol. “I think contemporary coffee has failed to find the consumers it should be finding.” With 66% of people preferring to travel to a supermarket farther away than their local one for cheaper prices, and 73% of Americans finding Starbucks to be overpriced, it’s clear that a good deal still goes a long way. McDonald’s understands the appeal of offering a reliable yet high-quality product to customers who are tired of pompousness around even the most everyday ritual – and it won’t be serving avolattes anytime soon. In New York, it’s possible to spend $18 on a single cup of coffee, yet while it may be higher quality than a regular old americano, not everyone can justify such an indulgence. Enter Locol, a 'revolutionary fast food chain' that’s on a mission to make artisanal food and drink affordable.